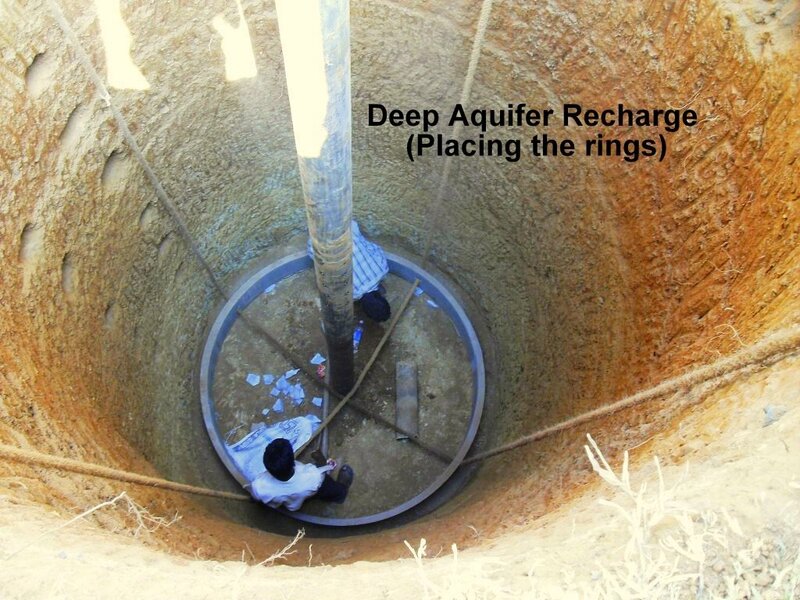 A recharge well is one of the cheapest and easiest way to increase the penetration of rainwater into the Aquifer. This is a Recharge well under construction . It is built around a borewell . The Rooftop run-off is captured and sent into this well for recharging the groundwater .